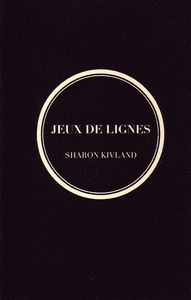 KIVLAND, Sharon (2013). 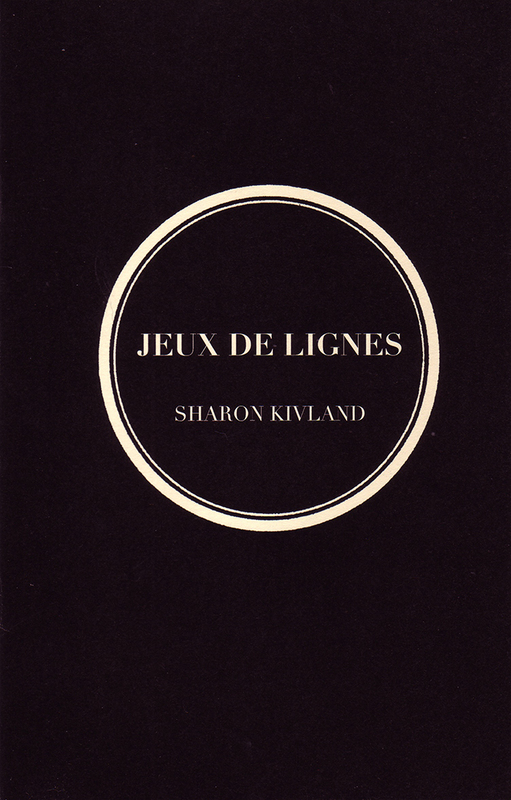 Jeux de Lignes. London, DOMOBAAL editions. 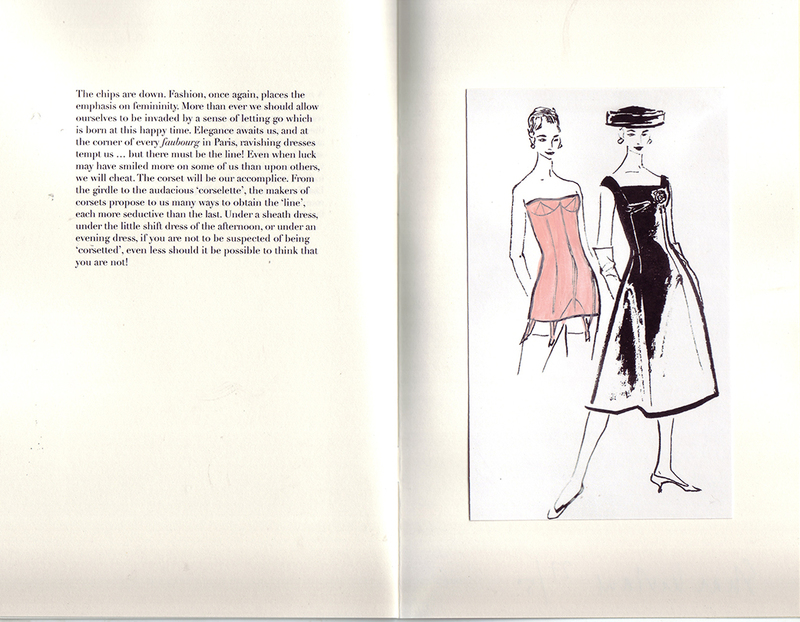 The notes on corsets, girdles, and brassieres from a French lingerie journal of the 1950s are translated in a rather literal fashion. 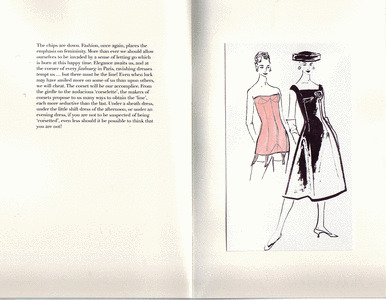 There are no illustrations save for a drawing at the beginning––a short girdle with a waistband under a tweed dress––and one at the end––a supple corset allows a décolleté for a cocktail dress––for the author is sure her reader has a playful imagination and will embellish the words with ease.